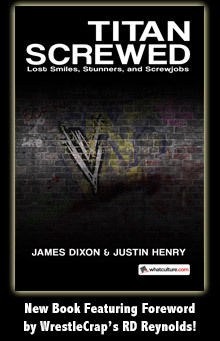 Headlies: XFL Team Announced For Dudleyville - WrestleCrap - The Very Worst of Pro Wrestling! Stamford, CT – At a press conference this morning, XFL leader Vince McMahon announced the eight launch cities that will be receiving a new team. While cities like New York, Dallas, and Los Angeles were expected, McMahon stunned the sporting world when Dudleyville was announced. The aforementioned stadium is currently a large dirt field covered in trash and empty beer cans. 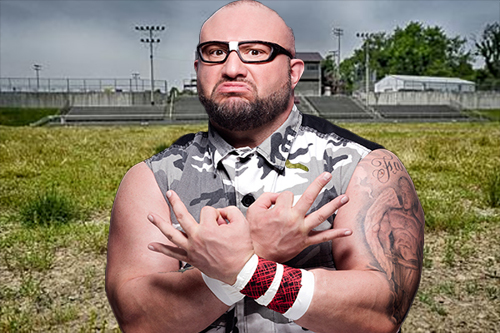 The classic Dudley Boyz “bomb dropping” sound played over speakers as WWE Hall Of Famer Bubba Ray Dudley addressed the room of reporters. Joining Coach Bubba will be Defensive Coordinator D-Von, Offensive Coordinator Spike, and Special Teams Coordinator Sign Guy. Many experts believe that the new version will suffer a similar fate, though it may continue through streaming websites like Facebook Live, Twitch, and DudleyTV. 6 Responses to "Headlies: XFL Team Announced For Dudleyville"
Sign Guy can hold up plays like they used to do at Oregon. And DW (Dances With) Dudley can be a one-man cheer-leading squad. Faygo Lake, so I’m guessing ICP will head the cheer team? I’m looking forward to the first game in the Big Daddy Dudley Memorial Stadium. I wonder if Parts Unknown is getting a team this season.